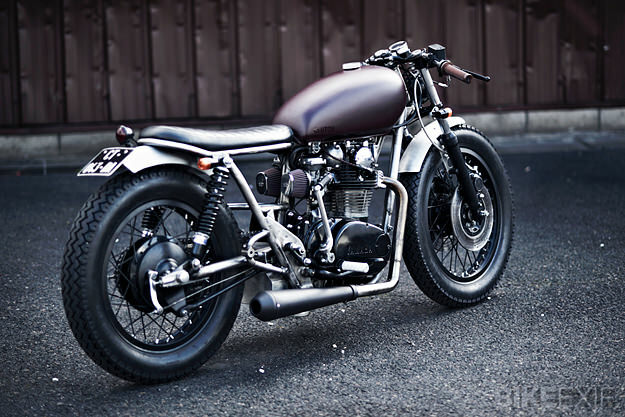 It’s a long time since we’ve featured a Yamaha XS650. It’s a bike that has become ubiquitous: with so many customs built on the 45-year-old platform, it’s hard to impress any more. 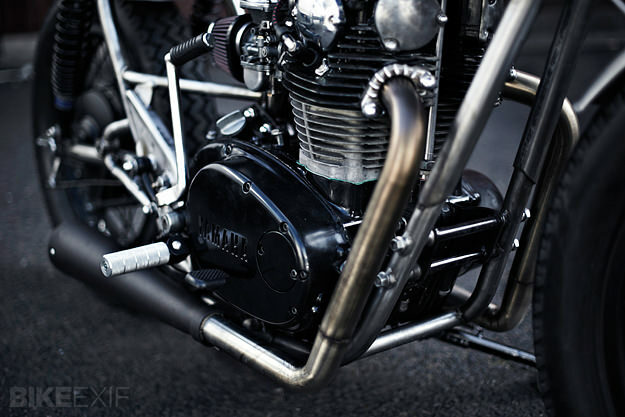 “I know that the XS650 have been done over and over again,” he says, “but this is my view of one. The lines and the detail work are what I try to make my bikes stand out with.” For this build he’s taken a mid-era XS650, a 1976-spec 1H1. The stance is improved with a slight drop in the suspension, just over two inches at the front and a fraction less at the rear, for a more aggressive stance. The forks have been re-machined and hooked up to custom triple trees, and the swingarm has been reworked to match. The frame is heavily modified too, from top to bottom, and left with a raw finish. 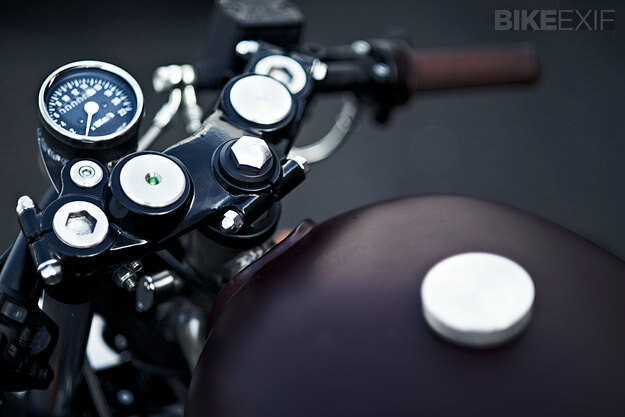 The tank is hand-fabricated and topped off with one of Clutch Custom’s signature gas caps. 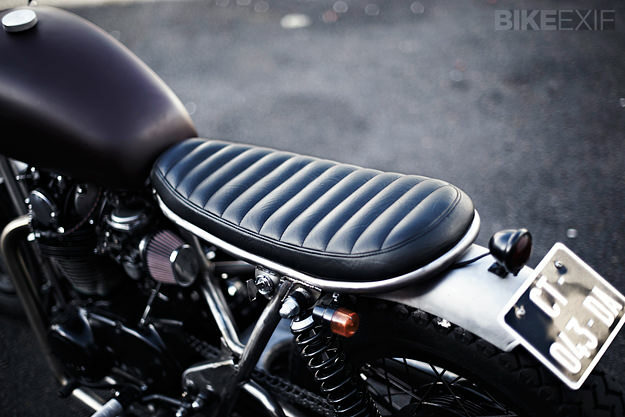 The immaculately finished seat is a one-off too, along with the fenders, bars and aluminum pegs. 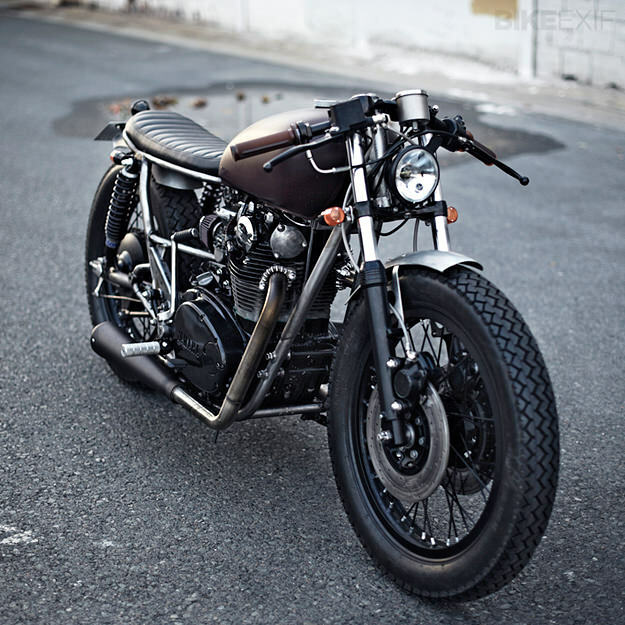 Simplicity is the key with this XS650, from the straight lines of the stainless steel exhaust system to the single analog instrument perched above the compact headlight. The bike has been completely rewired for a clean, uncluttered look—see if you can spot the custom battery box. Those are the obvious points, but there are many more tiny details: parts that have been reworked, welded, or adjusted to fit better. 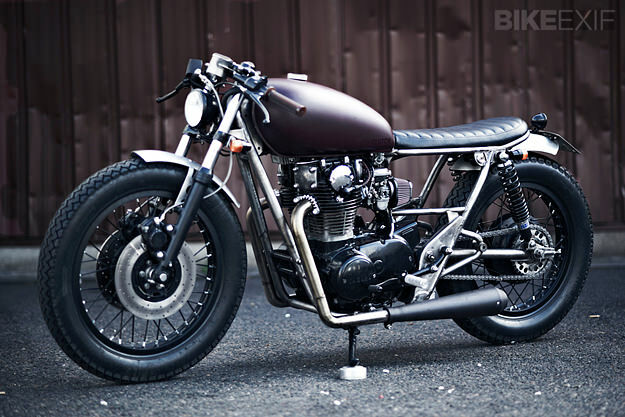 As with all Clutch Custom builds, it’s a bike that rewards close inspection in the metal. These images, unfortunately, are the closest we’ll get. If you live near Paris, head over to Willie’s workshop in the 12th arrondissement. Otherwise, take a look at the Clutch Custom website for more information and inspiration. GET THE WORLD'S BEST CUSTOMS DELIVERED TO YOUR INBOX. COPYRIGHT © 2008- GARAGISTA MEDIA. ALL RIGHTS RESERVED.